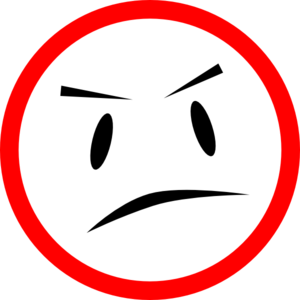 I don't understand the logic of being mad now about our exit from the Champions League; you had plenty of time to be upset about it after the first leg debacle and ooooh, plenty of people were. Personally, I believe that you don't get to be mad all over again after a 2-0 win. Maybe that's just me, but the way I see it, Arsenal created enough chances to win both games comfortably, but were punished for defensive mistakes in the first leg. End of. That happened already. We were all pretty upset about it. If you want to continue being upset about it, might I suggest getting in a time machine and going back to the day after the first leg. That's enough of a recap from me; this is a match preview, after all. Nine league matches remain on Arsenal's fixture list. The Gunners are in third in the league, as opposed to our usual fifth around this time. They're one point out of second, but just one point clear of fourth, three points clear of fifth, and seven points clear of sixth. I've stressed this many, many times before, but you can only win games one at a time. So, let's get three points on Tyneside and go into this Interlull no lower than third. We'll worry about a big fixture at home against in-form Liverpool on the other side. Tomas Rosicky displays his metal horns. The good news is Arsenal have not lost anyone to injury in the past week. The bad news is some people (*coughalexiscough*) are starting to look a little tired. We go into an international break from here, which will mean rest for some but not for others (*coughalexiscough*) At least Chile play a friendly at the Emirates against Brazil, even if it follows a match on Thursday the 26th against Iran in Austria. Anyway, Tomas Rosicky appears ready to return to the squad after a bout with illness kept him out for over a week. 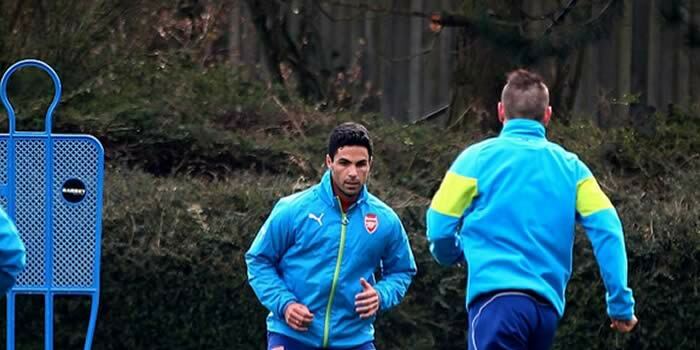 Arsene Wenger also mentioned that Mathieu Debuchy and Mikel Arteta are both about three weeks away. It should be a similar time frame, if not less, for Alex Oxlade-Chamberlain. Still no word on a return for Jack Wilshere or... well, I guess I have to keep mentioning Abou Diaby. Arsenal are winning football games, so I see no reason to make any drastic changes to the XI, aside from fatigue-based rotation. Even still, I'd put money on Alexis starting. Predicted XI: Ospina, Bellerin, Koscielny, Mertesacker, Monreal, Coquelin, Cazorla, Ozil, Alexis, Welbeck, Giroud. 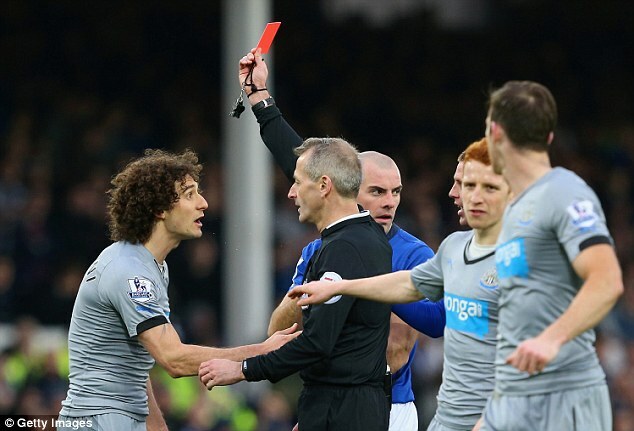 Captain Fabricio Coloccini attempted to appeal the three-match ban levied against him by the FA following his red card against Everton, but that appeal was denied. That means Newcastle has only one fit center back available to start on Saturday, in the form of Mike Williamson. That's because both Steven Taylor (Achilles) and Paul Dummett (knee) are out injured themselves; Dummett is out until May while Taylor might be out until October. Left back Massadio Haidara is a doubt with a knee problem. Backup goalkeeper Rob Elliot remains a doubt with a hip injury, while Newcastle are expected to be without midfielders Siem de Jong (out indefinitely with a collapsed lung,) Rolando Aarons (doubtful with a hamstring problem,) Mehdi Abeid (out three weeks with a thigh problem,) and most importantly, Cheick Tiote, whose season is also over with a knee injury. Papiss Cisse will be serving the second match of his seven match spitting ban; remember, that was a six match ban like Phil Jones's, but Cisse gets the extra match because it is his second ban of the season. Predicted XI: Krul, Janmaat, Williamson, Anita, R. Taylor, Sissoko, Colback, Ameobi, Cabella, Gouffran, Perez. Arsenal's form train keeps rolling, so hop on board while there's still time! Arsenal have won five straight in the league, five straight across all competitions, eight of their last nine overall, and 13 of 15 total matches dating back to the New Year's Day loss at Southampton. Don't stop the form train! Choo choooooookay, I'll never do that again. I'm sorry. Newcastle, on the other hand, have struggled since the departure of Alan Pardew to Crystal Palace on December 29. In 11 matches under caretaker manager John Carver, Newcastle have won twice, drawn three, and lost six. The Toon crashed out of the FA Cup at the first hurdle against Leicester City. Their wins have come against 15th place Hull City and 16th place Aston Villa. They are still, however, ten points clear of relegation in 11th place, so they do not appear to be in any major danger of the drop right now. 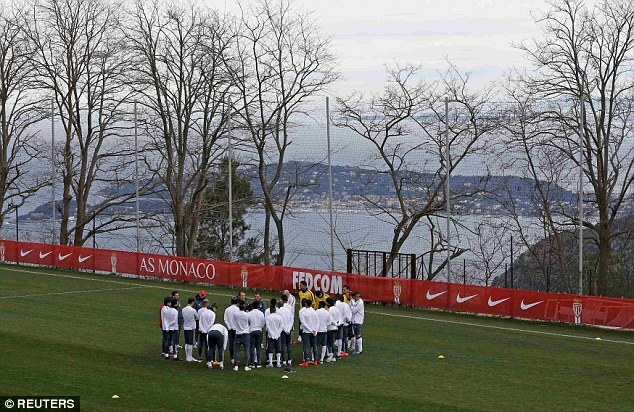 This has something to do with Cazorla. 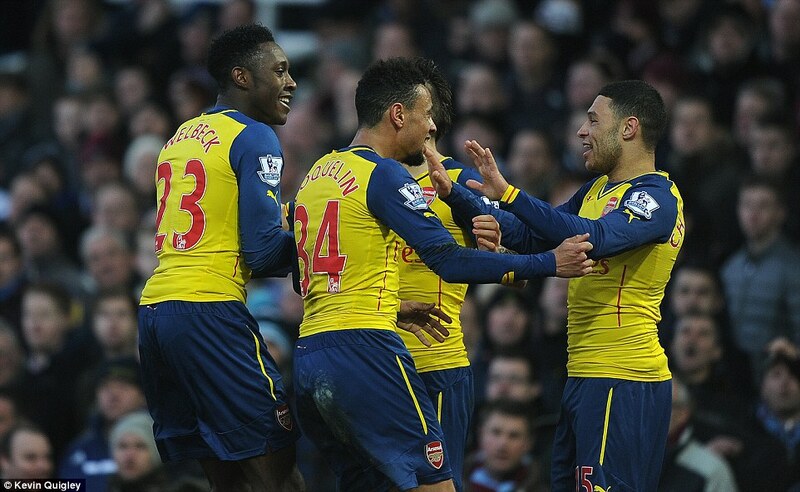 Arsenal won the reverse fixture 4-1 at the Emirates in mid-December. As mentioned above, Newcastle were without Krul or Elliot in goal and, more critically, were without Sissoko in the holding role. Olivier Giroud and Santi Cazorla scored twice each on third-string keeper Jak Alnwick, though Cazorla was widely criticized for chipping a penalty down the middle to put the home side up 4-1. To be fair, I personally don't find any Arsenal lead to be safe, so I didn't really consider it to be showboating at all. Some commentators, especially those in the tabloids, just like to fill column inches with nonsensical drivel and stories that don't make much sense, like this one time I fell through a window at a party. To be honest, it wasn't that dangerous of a situation, you see, I was already outside on the fire escape hanging out with people. I lost my balance while attempting to come back inside through the window so, in effect, I fell through a window back into the apartment. So, you can basically twist any mundane situation and make it sound like a dramatic story, like Cazorla's penalty, or ignoring legitimate statistics to discuss whether Mesut Ozil is "worth" the price tag. Arsenal have won six straight against Newcastle and are unbeaten in their last eight against the Toon dating back to November of 2010, when an Andy Carroll header gave Newcastle a 1-0 win at the Emirates. Arsenal then drew two straight visits to St. James's Park, the first of which in a rather ridiculous fashion I don't believe I really need to cover again, before winning these six straight. Jones sent off Filipe Morais on Monday for this high boot. Joey Barton saw nothing wrong with it. The referee is Chester-based Mike Jones. Arsenal have had Jones as referee twice this season, for two victories: 3-0 at Aston Villa in September and 2-1 against Leicester in February. Jones, of course, had a rough day at the office in the latter and booked Olivier Giroud late on when he found himself in the way of a Mark Schwarzer punt. For Newcastle, Jones took charge of a 3-3 draw with Crystal Palace in August and a 3-1 loss at Old Trafford on Boxing Day. Earlier this week, Jones was in the middle of the FA Cup replay between Reading and Bradford City, which Reading won 3-0. Jones was criticized for losing control of the match early, as Bradford found themselves down two within ten minutes. Eventually, he had to send off Filipe Morais for a ridiculous high challenge just after the hour mark. 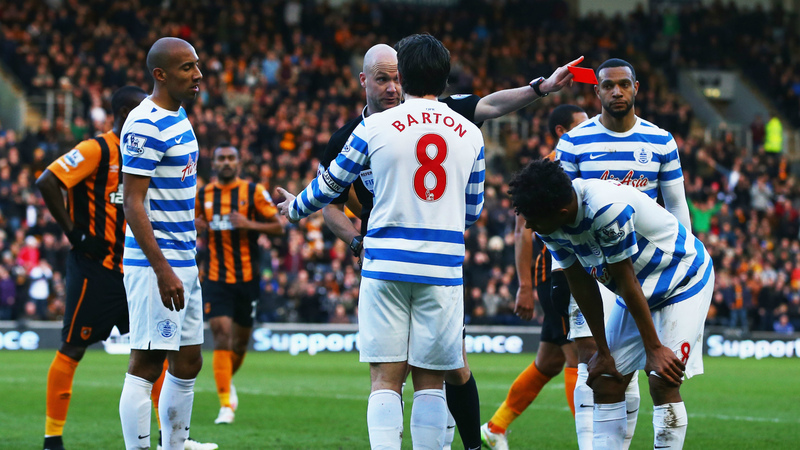 FYI, Joey Barton thought it was harsh. Since New Year's Day, Mike Jones has only taken charge of two Premier League fixtures, which is not really a sign of confidence at a time when Chris Foy and Phil Dowd are both out injured. 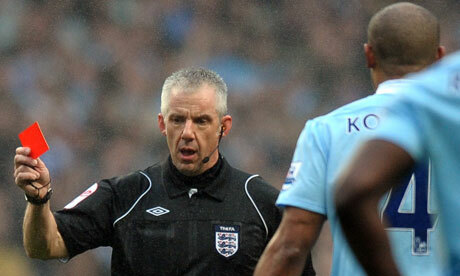 Then again, I don't think the FA would give Dowd this fixture again any time soon. John Painting is a contributing writer to the Modern Gooner and a man-made lake in central Saskatchewan. You can follow him on Twitter @zorrocat for the best fishing this side of Carrot River! It's the FA Cup sixth round, the quarterfinals, the winner-goes-to-Wembley stage. 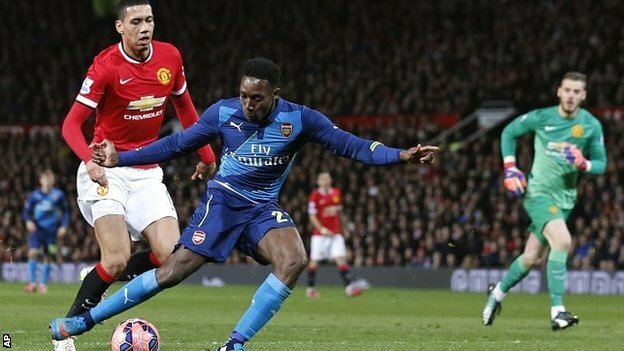 So, of course, Arsenal are awarded a Monday night trip to Old Trafford. When the drawing was made during the end of the fifth round, we all sort of had that oh, of course we got United away feeling. And now, here it is. So, honestly, what is there to say? Arsenal are the defending FA Cup champions and in order to continue that cup defense, they will have to win in a stadium where they have not won since 2006. Or, they could hold out for a draw and force a replay. Then again, this isn't the same United team (read: Fergie) that has held its voodoo over Arsenal for years and years. It's time to break that hex once and for all, grab your yellow ribbons, and go to Wem-ber-lee. At least we have French Zorro. Having done his hamstring in the 2-1 win over QPR on Wednesday, Gabriel Paulista is now officially an Arsenal player. I hope the 37 minutes of rest Laurent Koscielny got before being called into action was enough of a vacation, as he and Mertesacker will have to continue together through at least four matches; it's "three weeks" for Gabriel on initial diagnosis. In addition, there may still be some doubts over Nacho Monreal's and Wojciech Szczesny's availability after both missed the trip to West London via a back injury and illness, respectively. Considering it's a cup tie, it's likely the Pole will start between the poles if he's fit to. Elsewhere, it appears there's no change to the injury list, with Jack Wilshere and Mathieu Flamini likely out until at least next weekend, Mathieu Debuchy and Mikel Arteta still out until April, and Abou Diaby last seen in orbit around the Arctic Circle. Predicted XI: Szczesny, Bellerin, Koscielny, Mertesacker, Gibbs, Coquelin, Ramsey, Ozil, Alexis, Cazorla, Giroud. floor," which is why Cisse is shown here wiping his face. It's finally happened! Arsenal will face Manchester United at a time when Robin van Persie is out injured! I've been waiting for this day for so long! 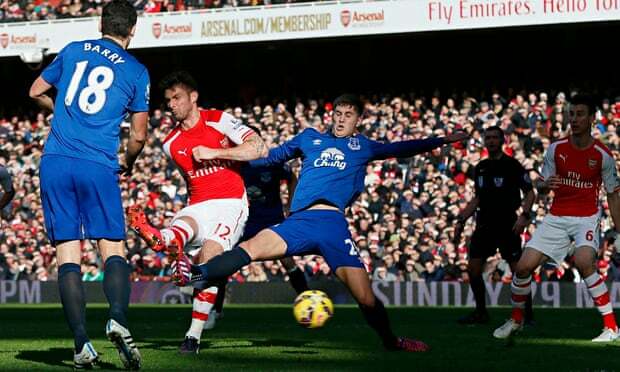 The ex-Arsenal striker injured his ankle in the loss to Swansea on February 21 and could miss up to a month. Unfortunately for Arsenal, he's the only United player absent through injury. Jonny Evans, however, is facing a six-match ban for spitting at Papiss Cisse on Wednesday; Cisse will be suspended seven matches as he has been banned once already this year. The FA officially charged both yesterday, and Evans has until 18:00 GMT today to respond to the charge; Evans has maintained his innocence, while Cisse has already accepted his ban. 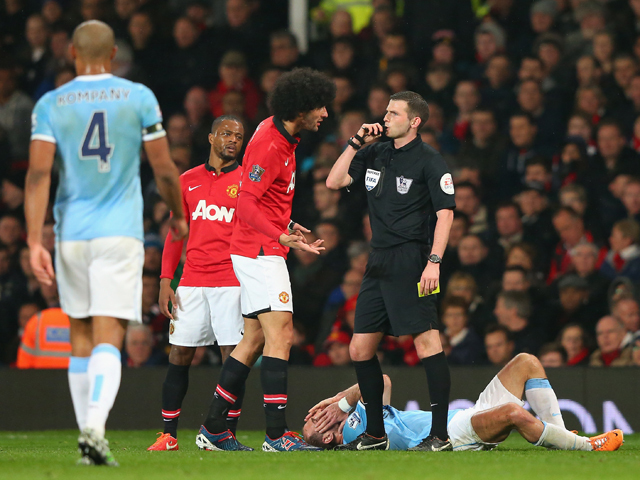 If Evans is unavailable, it'll be Chris Smalling and Phil Jones in the center of defense. My predicted XI includes a mix of Angel Di Maria, Wayne Rooney, Ashley Young, and Radamel Falcao which, even with Robin van Persie injured, leaves Marouane Fellaini and Juan Mata available from the bench. Predicted XI: De Gea, Valencia, Smalling, Jones, Rojo, Blind, Herrera, Di Maria, Young, Rooney, Falcao. To discuss this section, we must first answer the question, "What is form?" The Oxford English Dictionary defines form as "The essential determinant principle of a thing; that which makes anything (matter) a determinate species or kind of being; the essential creative quality." All right, I might have picked the wrong one of the 21 definitions. Point is, Arsenal and Manchester United are both currently in runs of form (or, essential determinants) where they are winning matches almost in spite of themselves. Arsenal have won four straight in the league for the first time this season and none of them have been convincing: a nervy 2-1 over Leicester, a nervy 2-1 over Crystal Palace, a bumpy 2-0 over Everton, and a nervy 2-1 over QPR. Manchester United have been leaving it late, like they always have. Ashley Young found the winner in the 89th minute on Wednesday against Newcastle. Last weekend, United needed a penalty and red card in the 66th minute before they led at home against Sunderland. A few weeks back, they needed an injury time equalizer to take a point from West Ham in London. They're still getting the results to stay in the top four, but they haven't been winning convincingly. Why do I get the feeling this is going to be an ugly match of football? Manchester United have had the better of Arsenal in recent meetings, which you probably know already (possibly because I copied and pasted a lot of this section from several previous previews.) In 2006/07, Arsenal won both league meetings between the sides. Since that year, across all competitions, United have met Arsenal 19 times. Arsenal have won two of those matches, drawn four, and lost 13. United are unbeaten in their last ten home matches against Arsenal, winning nine of them (and clinching the league title with the one draw.) September 17, 2006 marks Arsenal's last win at Old Trafford, during that aforementioned season when Arsenal took six points from United. That match ended 1-0; Emmanuel Adebayor had the 86th minute winner. Since then, in ten matches at Old Trafford, United has outscored Arsenal 23-5. These sides have already met once this season, at the Emirates, with United winning 2-1. Arsenal had over 61% of the possession and generated nine shots on target, but a Kieran Gibbs own goal in a massively unlucky sequences gave the visitors the lead against the run of play. Wojciech Szczesny was injured in the sequence, forcing Emiliano Martinez into his first Premier League appearance; United made it 2-0 from a counterattack in the 85th before Olivier Giroud, himself returning from injury, pulled one back in injury time to make the scoreline more respectable. 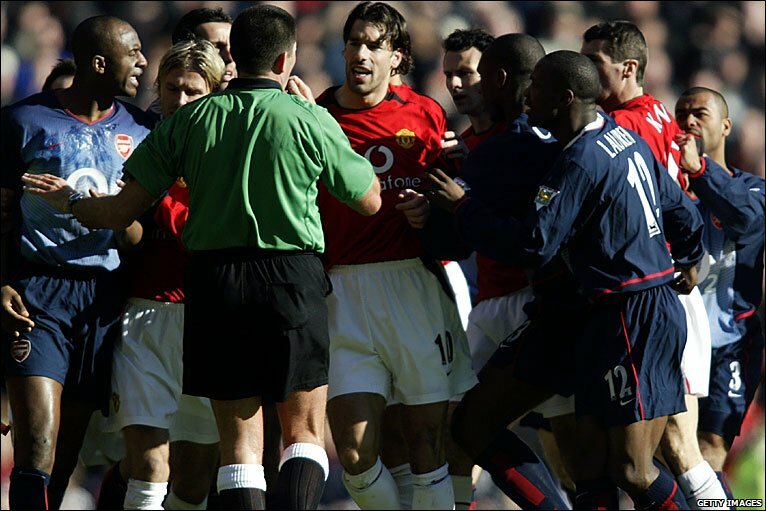 These two clubs have met in the FA Cup 13 times previously; United have won seven ties to Arsenal's six, with two matches drawn (including the 2005 final which Arsenal won on penalties.) United's victories have come in 1951, 1962, 1983, 1999, 2004, 2008, and 2011. Arsenal's victories, which include two finals, have come in 1906, 1937, 1979, 1988, 2003, and 2005. Arsenal have only once won an FA Cup tie at Old Trafford; that was in 2003 when Edu and Sylvain Wiltord scored in a 2-0 win. Bad hair is a bookable offense. The referee is Northumberland-based Michael Oliver. 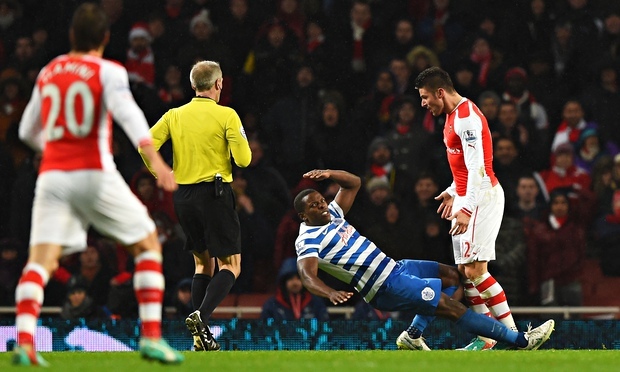 Arsenal have seen Oliver four times already this season, with a record of two wins and two draws in those matches. Oliver worked the very first Arsenal match of the season, the 3-0 Community Shield win over Manchester City. He's also already worked one of Arsenal's three previous FA Cup ties, specifically the 3-2 win over Brighton. 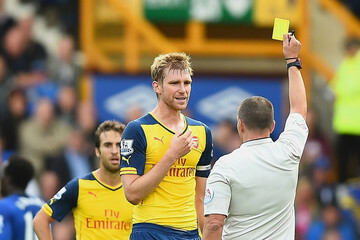 In the league, he was in the middle for Arsenal's 1-1 draw with Spurs and 2-2 draw at Liverpool. For Manchester United, Oliver has worked their 1-0 loss at Manchester City, from which Chris Smalling was sent off, as well as their 1-1 draw at Stoke on New Year's Day. Oliver was in the middle for the league meeting between Arsenal and United at Old Trafford last year, which ended 1-0 to United. John Painting is a contributing writer to The Modern Gooner and terrified follower of the Church of Darmo, Devourer of Souls. You can follow him on Twitter @zorrocat. Hail Darmo.